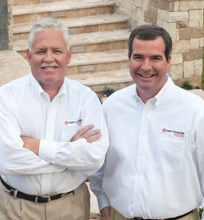 Our toolbox contains articles, checklists and things to think about when choosing a builder. Click any link to view/print the PDF file. Do your research and know what to expect so that there aren’t surprises. Matt Powers wants your experience to be exceptional! We at Matt Powers use the highest performance quality building standards in every home we build – make sure to compare “apples to apples” when selecting a home builder, ask questions and educate yourself what will be behind your walls before you decide.